I have a MB3 with a D15Z8 engine that starts fine in the morning, if I turn it off and back on after a few minutes it starts fine but if I leave it off for about an hour when I turn the key it cranks for a long time before it starts. I've search this forum and the internet and didn't find anything similar. So many things it could be mate, but basically will either be fuel related or electrical. Is there fuel getting through ok when it's cranking over for a long time? Have you tested for a spark when it does this? After cranking for ages, does it then run fine once it starts? Any EML when this fault occurs? So many things it could be mate, but basically will either be fuel related or electrical. Is there fuel getting through ok when it's cranking over for a long time? Have you tested for a spark when it does this? After cranking for ages, does it then run fine once it starts? Any EML﻿ when this fault occurs? No EML fault and it runs fine once it starts. In the morning when I leave home and the end of the day leaving work it starts after cranking 1 or 2 seconds. If I turn it off and back on after a short period of time it starts right away but if I leave it off for some time I crank it for about 4 seconds and if it doesn't start I stop and try again, usually it starts at second try, sometimes at third try. It has happened that when I stop cranking (stop turning the key) it starts at the very last instant so maybe it could be the voltage of the battery that drops a lot when the starter is working. I haven't tested for fuel or spark issues. Cables, rotor and cap and recent and spark plugs are new. It's not a real problem yet, it's an abnormality, but I would like to find a solution before it gets worse. Agree, it is something that needs sorted sooner rather than later as it will get worse at some point. Ok, this is going to sound nuts, but bear with me! Next time it does this. Remove the fuel cap and then try and start it. If it starts normally, it's due to no air getting into the fuel tank due to either a breather pipe or the small hole in the cap is blocked. This causes a vaccum inside the tank which makes pushing the fuel through very hard for the pump. Just a simple test but worth doing. Again, if you can open the bonnet when it does the fault and smell for petrol to make sure fuel is getting through. If it still does it, we'll need to go through a process of elimination. We'll get to the bottom of it though mate! I think you're onto something! After I read this I remembered that many times when I'm going to remove the fuel cap I hear a lot of air leaving the tank (I think it's coming out because I can smell petrol). 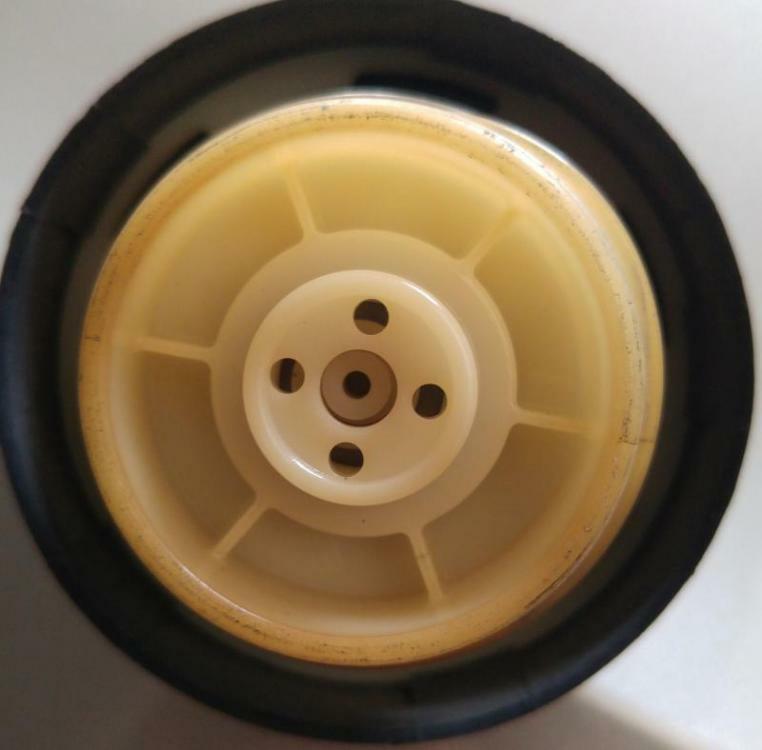 Today I went for a drive and after I parked the car for a while, removed the fuel cap and heard the rushing air, started the car and it started immediately, but didn't tried to start before removing the cap... Apparently the tank isn't "breathing", the fuel cap has some holes in the middle but when I tried to blow trough them I couldn't at all. Do you know the function of those holes is to allow air in and out? Yes mate, they allow air into the tank so that as the petrol drops as its being used, it doesn't cause a vaccum. Be superb if that's all that's causing the problem! Mega cheap fix! Do try it the next time it plays up though to make sure. Does it do the fault every time you drive the car? On my Fiesta mk1 on my commute to work in the city, I would get to the exact same place every day and the car would loose power then cut out. No amount of cranking would get it going.......took off the cap and away she went! Drove from home to work the next day with the cap off and she drove perfect all the way. Think the reason it affected the car so much to the point where it lost power on the move then came to a halt is because those old cars had a mechanical fuel pump, not an electric one like the new cars such as the civic. Old mechanical pump aint as strong as the electric ones. Most of the weeks happens 2 or 3 times, but has happened more than once in the same day. If the car is off for a long time usually doesn't happen. This weekend I left the cap loosely tighten and the car has been starting very well since. If it continues this way I'll buy a new cap.